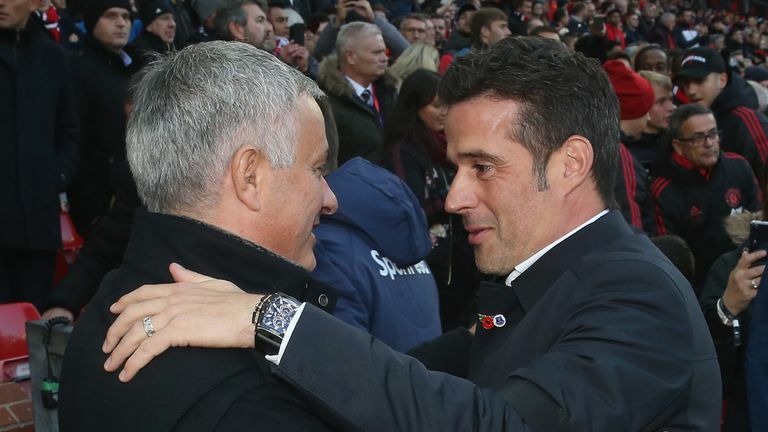 Marco Silva dismissed Jose Mourinho’s claim that Manchester United will finish above Everton in the Premier League this season. Everton are level on points with United but sit two places above them in sixth thanks to their superior goal difference. However, Mourinho believes normal order will be restored by May, saying: “I don’t think Everton is going to be in front of Manchester United by the end of the season”.